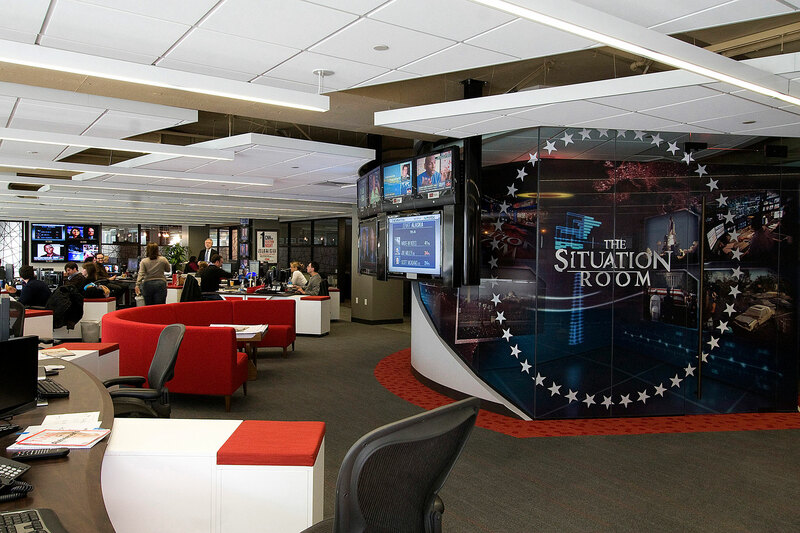 As the work flow continuously changes, CNN now has the option to quickly rework the design to allow new groups to be visually and acoustically adjacent to each other. 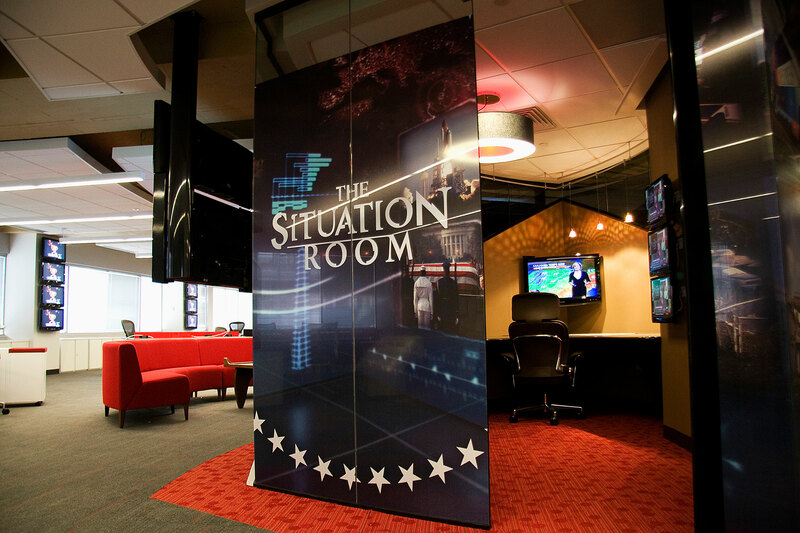 In relocating CNN’s Washington, DC newsgathering operation, the goal was more than shuffling workstations. 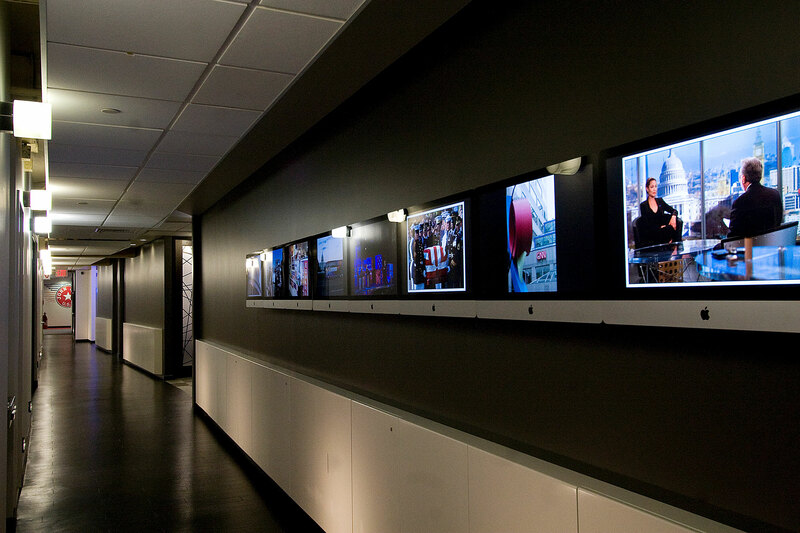 Lawson was asked to change both the workflow and dynamic of the news process. 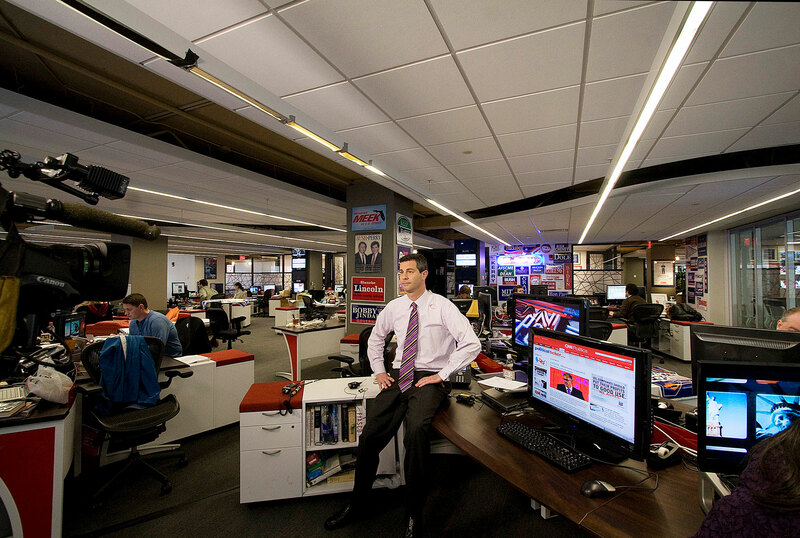 CNN wanted to rethink how the in-house planners and screeners worked together with the beat reporters on a daily basis. Additionally, as the work flow developed or changed, they wanted the option to quickly rework the design to allow new groups to be visually and acoustically adjacent to each other. To satisfy these requirements, Lawson eliminated most offices, custom designing workstations to nest in unique ways, and designing conference room pods as interview and small meeting rooms. 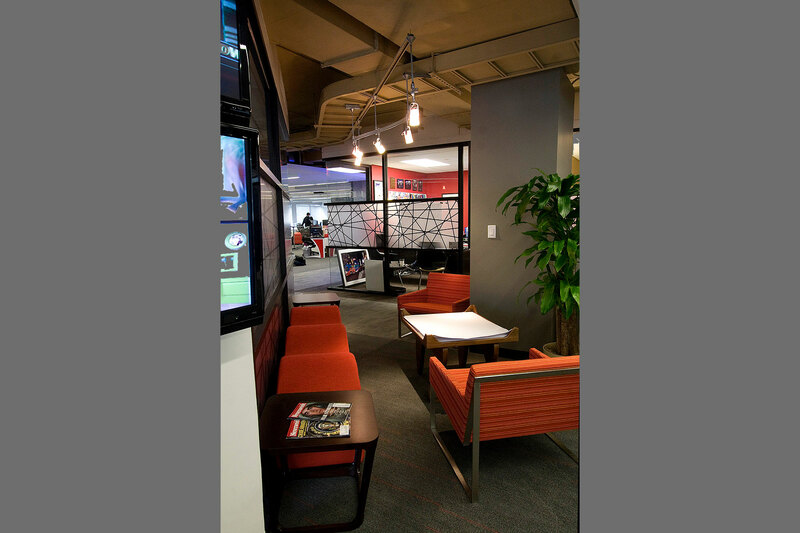 Each of these rooms took on distinctive shapes to interconnect with the adjacent workstations. 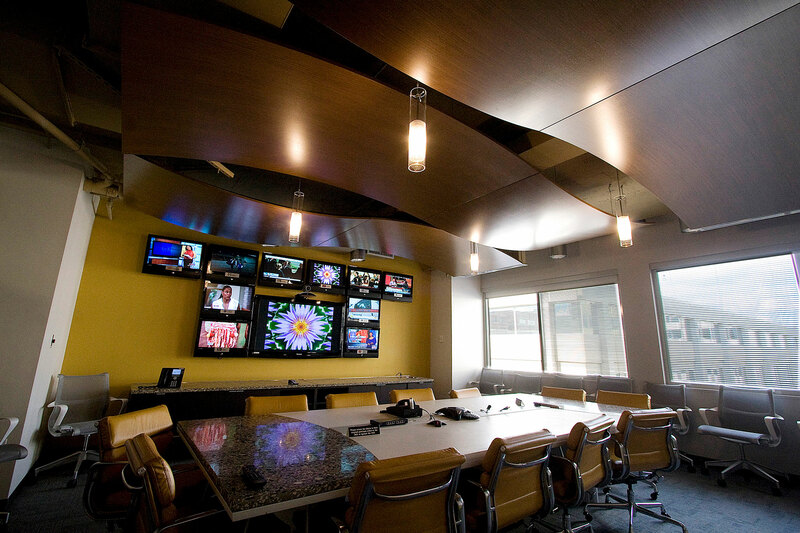 Lawson further achieved CNN’s goal for flexibility with demountable partitions that allow for quick reconfiguration for use as on-air studios and full station meeting spaces. This solution adapts to the cyclical demands of conventions, elections, and inaugurations, which are standard fare for news sequencing in Washington, DC.